This dish is not only pretty it tastes good too! 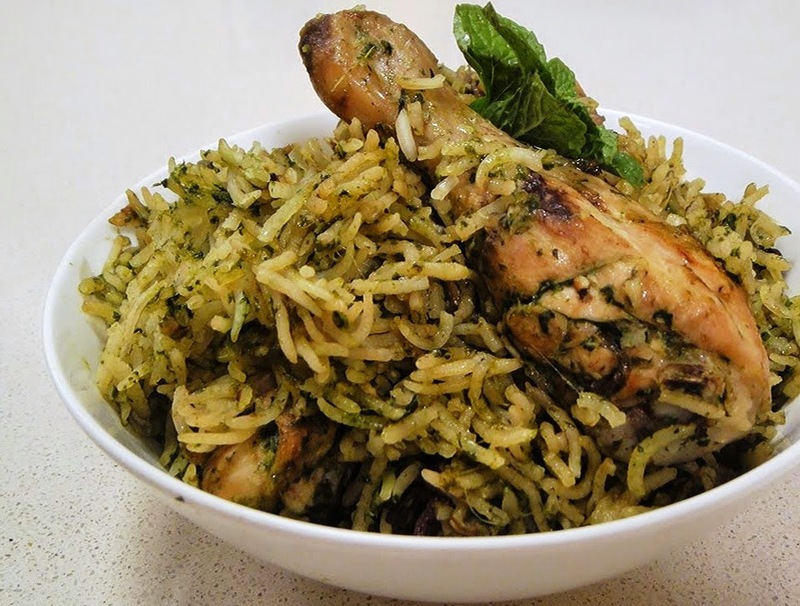 Chicken Pulao goes very well with its mouth licking taste. 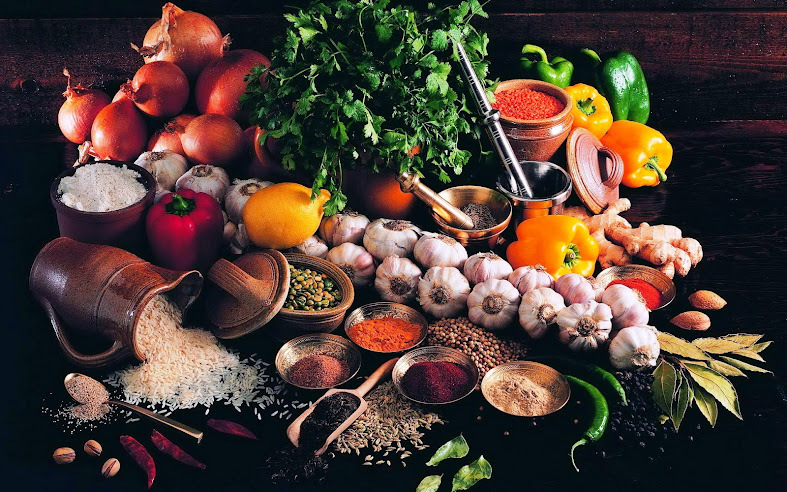 It is very popular on festive occasions and can be cooked in weekend off. Heat the oil and add onions and the whole garam masala. Fry onions till the color changes to light brown then add the Hara masala and fry well till the color and the aroma changes. Now add the chicken pieces and cook well for 5 mins then add ½ cup water and cover. When the water evaporate add the dry masalas with the salt and tomatoes and cook for another 5 mins. Now add the water and the garam masala powder. When the water starts to boil then add the rice and cover the lid. When the half of the water is dried then leave the rice on very low flame for 10 mins. 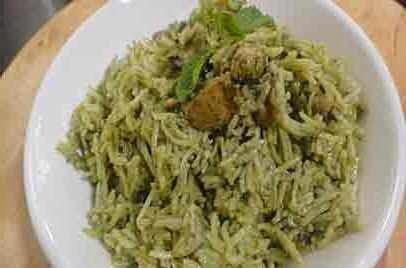 Pulao is ready you can serve it with raita. 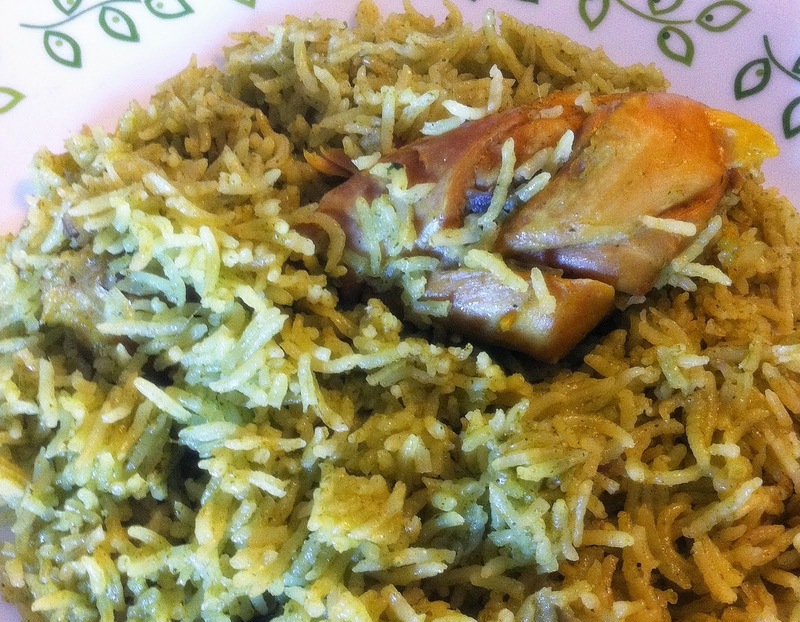 Note: If cooking Mutton Pulao then first make the stock and use the stock instead of plain water and follow the same steps.